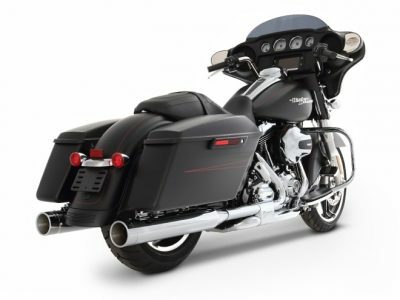 Thunderheader™ high-performance exhaust systems, are specifically designed for the HARLEY-DAVIDSON V-Twin engine. Heat Shields sold separately unless otherwise noted. How a Thunderheader™ exhaust system will affect your engine’s performance depends on other modifications that are made. For the motorcycle to remain legal for street use, other modications must be limited to those that have been approved by the California Air Resources Board (CARB). For motorcycles used only for racing, other modications can be considered. If your engine is equipped with at least a high performance cam & air cleaner, your performance gains will be significant. A stock cam & air cleaner will limit the performance of your engine, even with a high performance exhaust system installed. 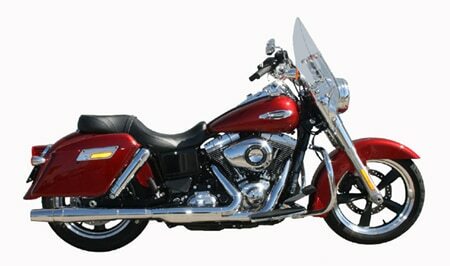 The exhaust system has a very dramatic effect on how a engine operates throughout the entire RPM range. Not only will the exhaust system affect peak horsepower, torque & RPM, it also can change throttle response, gas mileage, vibration & engine temperature. 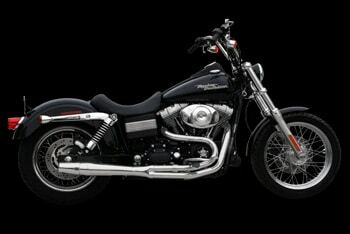 The addition of a high performance exhaust system alone is not enough to achieve maximum horsepower & torque. Your engine must have the proper components necessary to produce maximum horsepower output. 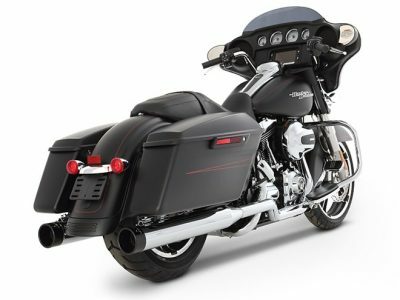 This means it has to breathe, if you install a high performance cam, carburetor, air cleaner, ignition & exhaust system, you can expect to increase your horsepower about 30-40% over stock, on most HARLEY-DAVIDSON EVOLUTION models. The best way to test or compare high-performance exhaust systems is with a Dynamometer. The test engine must be equipped with high performance components, such as; a cam, ignition, air cleaner & Thunderheader™. Tune the engine to produce maximum HP & torque. Horsepower is measured at power peak (the highest RPM which horsepower continues to increase), power peak for most performance equipped EVOLUTION models, is usually between 5800-6750 RPM’s, depending on the breathing capacity of the engine. Record your test results, then change the exhaust system only, and start your testing again. Be sure to re-jet for each exhaust system, so you will get the best results possible with that system. Be sure to record the torque as well as the horsepower with each test. When comparing the results, be sure to look at the overall performance, not just the peak horsepower. You don’t want to increase HP, at the cost of loosing substantial amounts of torque. Most “open” exhaust systems will produce good top-end HP, however in most cases the torque will suffer because of the lack of exhaust scavenging, due to reversionary problems associated with “straight through” systems. Another aspect worth discussing is throttle response. Some exhaust systems can affect your air/fuel mixture to such a degree; the engine will “load up” at certain RPM’s making it undesirable to keep the engine at that speed. Again, these problems only exist with “open” systems such as; “straight (drag) pipes, open megaphones & extremely short systems. Before you can understand how the Thunderheader™ works, you should have some insight on the dynamics of exhaust pulsing. It is important to know that the exhaust exits as long columns or pulses of spent gases, and at peak RPM, the pluses can reach velocities of about 300-350 feet/second, and a frequency of about 3,000 per minute. This means the pulse must go from 0 to 200 mph & back to 0, about 3,000 times per minute. It is possible to use the energy from these forces to help extract exhaust gases from the engine. This process is called “exhaust scavenging”, as it uses the energy from the inertia force created from the out going exhaust pulse, to cause a low pressure area in the exhaust port & combustion chamber during the valve overlap period (when both exhaust & intake valves are open at the same time). If the negative pulse is timed to reach the open exhaust valve during the overlap period, it will draw in a fresh mixture of air & fuel from the intake before the piston descends on the intake stroke. Timing of this pulse is controlled by; engine displacement, RPM, primary tube diameter & length, and Reverse Flow Impedance (RFI™). The velocity can be slowed by increasing the primary tube diameter, however by slowing the velocity, you decrease the scavenging effect. Primary tube length is determined by peak RPM & mean flow velocity. The higher the peak RPM, the shorter the tube length, for instance, if your engine’s peak RPM is 6000, a properly tuned Æ1 3/4 pipe may be about 34” long. 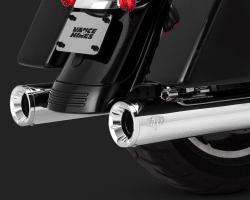 However if the engine’s peak RPM is 6500, then a 31” long pipe would effectively scavenge more exhaust gases. Unfortunately the shorter pipe may adversely effect your torque curve, whereas the 34” long pipe worked better at low-end, giving somewhat better torque readings. Finding the right balance between peak horsepower & maximum torque, is very tricky, and there are no set rules to use. For street riding, torque is most important, because your torque curve reflects what you feel as you accelerate through your RPM range. On the other hand, high horsepower readings will result in high MPH. 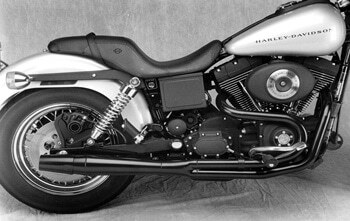 Thunderheader™ head pipes have been tuned to the proper length & diameter, to produce maximum horsepower, and a excellent torque curve. 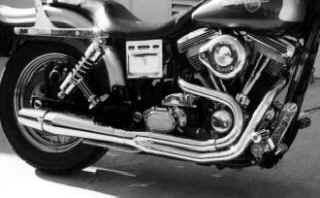 In addition to “tuned” head pipes, a patented collector is used. The collector is designed to direct spent gases through four acoustical dampening chambers (see “flow director” diagram 1). The flow director serves a “multi-task” function, (1); directs outgoing flow through four acoustical dampening chambers creating a spiral motion upon exiting to atmosphere. (2); it also forms a pyramidal shaped “anti-revision” trap (see diagram 2) to minimize the amount of air rushing in. In conjunction with the “flow director”, a diffuser shroud is attached to the reverse cone. This patented device is designed to defuse the air rushing in as the pressure inside of the system becomes equal to atmosphere.